Security and surveillance on a job site are no simple matter. Construction zones and jobsites can range from small and discreet areas to sprawling, uncontained spaces of constant activity. In any of these cases, job sites suffer from a variety of security problems and issues, from vandalism and theft to injury and intrusion. Installing the right security and surveillance technology at a jobsite can help reduce these issues, but only when done effectively and affordably. If you are in charge of a jobsite in any way, consider the way that an effective surveillance program can help reduce your jobsite concerns. Sometimes a break-in means that a trespasser just wanted to poke around your property—such as when teenagers or other truants are looking for a place to hide or hang out. Other times a break-in can result in theft or damage of property. In any case, a break-in at your jobsite is both dangerous to you, your property, your employees, and the people who may have contracted you for labor. Preventing break-ins with the installation of security cameras can help stop other more serious crimes from occurring. Although vandalism can sometimes seem less threatening than other security issues, it is a real problem that can cause your business to lose money, customers, and resources. Vandalism may be as simple as trespassers breaking windows and spray-painting graffiti, but even this seemingly minor crime can result in expensive repairs to facilities, and can result in an unsightly condition at jobsites that can negatively affect the perception of employees, workers, and customers. Vandalism of equipment and tools can be even more costly, resulting in expensive replacement costs and lost work time. One of the most common jobsite crimes is theft. 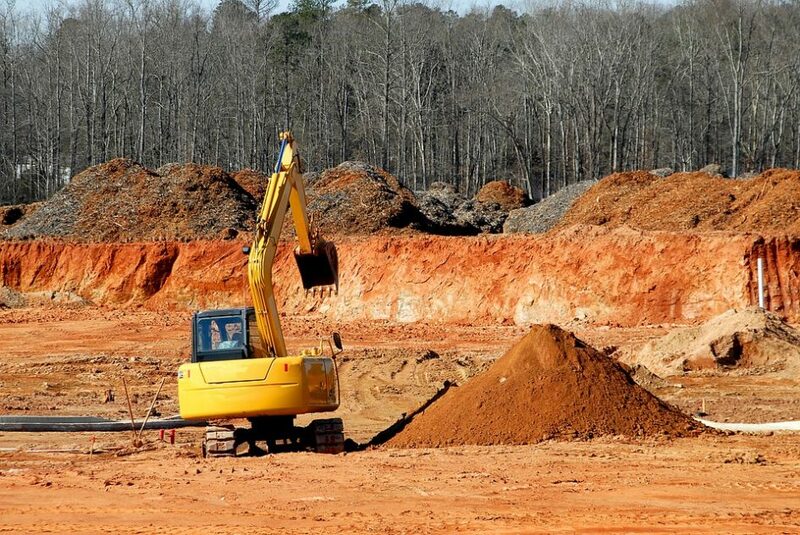 A report of the National Equipment Register tells us that almost 12,000 incidents of construction site theft were reported in just one calendar year. Theft can occur from both inside and outside sources, meaning that your own employees, trespassers, or visitors can be responsible for stealing valuable equipment, tools, or supplies from your jobsite. The best way to stop theft is to monitor for its occurrence, and that can be easily accomplished if you install onsite jobsite cameras. In this litigious modern world, it’s important to project yourself, your business, your customers, and your jobsite from insurance scams and frauds. Common insurance scams can include faked injuries, or the intentional removal of materials that can then be blamed on outside theft. By installing jobsite cameras, you can monitor your interests and provide authorities and insurance companies with visual proof of what really occurred during a given incident. Nobody likes to consider the threat of violence at their jobsite, but such threats cannot be ignored. Weather the threat of violence comes from intruders, disgruntled employees, or random happenstance, it is important that jobsites are monitored to help prevent such incidents from occurring. The right combination of onsite security cameras can help monitor for such issues, and make it easier to prevent them from happening in the first place. Time-lapse camera technology makes it possible to capture still images over a period of time. Those images can be viewed and manipulated individually, making it possible to target certain dates and times to watch for job site security issues. It is also possible to create fluid time-lapse videos from these images, giving a comprehensive view of your jobsite over an extended period of time. Pan-tilt-zoom cameras, of PTZ cameras, are HD security cameras with built-in motorization capabilities that allow security personnel to pan, tilt, zoom, and move the camera to provide different angles and fields of vision. PTZ cameras are particularly useful in tracking the activity of works and visitors at the jobsite. Thermal security cameras implement high technology to provide images that indicate sources of heat. This is usually most useful in detecting human or animal presence on the jobsite in conditions that are dark, foggy, smoky, or otherwise visually obscured. Thermal cameras can also be used, however, to monitor dangerous jobsite situations where heat or the threat of fire may be involved. Mobile surveillance Units make it easy to implement jobsite security cameras in any situation or context. Even in outdoor situations without active electrical service, it is easy to install an MSU to provide video security coverage of the entire jobsite area. MSUs can be outfitted with multiple cameras, including cameras that incorporate any of the above technology.